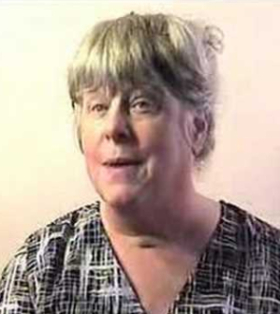 Enhanced Contactee and Emissary of the Zeta Reticulians, Nancy Lieder has lead the campaign to inform and prepare the public about "Planet X" since the early 1990's. ZetaTalk, debuted 1995, and has a well documented track record of earth changes while "Troubled Times" (non-profit organization) has become a leading authority in offering solutions to surviving the upcoming pole shift. 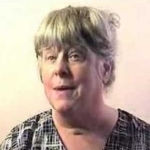 Nancy became aware of her contactee status in 1993, and the potential for being a communicator of the Zeta message, in the midst of a full life with a family and a full time job. Due to the international interest in ZetaTalk, which went on the web in 1995, Nancy responds to media and outreach requests, assists with making translations into over two dozen different languages available to the public, conducts debates on sci.astro, holds weekly live chats, runs a weekly radio show since 2005, and deals with a lot of flack. The sighting of Planet X at the exact coordinates given by the Zetas in early 2001 and the Earth changes in subsequent years proving the Zeta predictions correct intensified this activity. A weekly Newsletter was started in late 2006. A script written to depict the Passage is also available as a short story. A series of Video clips were begun in late 2007. An additional script and short story depicting houseboat living, Finigan Fine was added in 2009. In 2010 Nancy became a member of the Pole Shift ning and spends time there daily working with a concerned public. Due to the serious nature of the ZetaTalk message and the accuracy of Zeta statements and predictions, the Troubled Times group formed to seek survival solution sets for the common man. Nancy functions as the web mistress of the huge Troubled Times site which began in 1996 and the nonprofit arm, Troubled Times, Inc. which incorporated with her assistance in 1997. Nancy supports the nonprofit in an administrative capacity, has grown and gathering seed for the seed team she started in 1998, maintained a hydroponics and verimculture lab started in 2000, and assisted in the layout of the booklet offered by the nonprofit to the public in 2001. In addition, having quit a professional job in California in 1999 to move to Wisconsin to walk the talk, Nancy expends her retirement time and money on these tasks. Nancy is not in good health, increasingly failing. Thus, Nancy is busy, broke, and having found herself unexpectedly in a leadership position on getting the message out about the coming earth changes and the simple solution steps that a family can take, prioritizes her time tightly.